So you’re trying to sell your car, and looking at every avenue you can to make a sale. While you could go the traditional route and post advertisements in the newspaper, you’re far more likely to get a sale if you advertise your car online. This is where most people go these days to look for what they need, and they’ll be much more likely to see your posting if you put it online. You have many options when it comes to advertising your car online. You can post on Facebook, put it in an official classified ads section online, or there are even many places you can post completely free. If you are determined enough and creative enough to create an enticing ad, you should have no problem selling your car online. There are so many potential places that you can sell your car online. Sites like cars.com have online classified sections where you can put your posting. With online classifieds, you’ll need to input some information about your car that buyers will want to know. Oftentimes you have the option to add some eye-catching features to your ad for a fee. Make sure you have a photo! If you don’t have a photo, you will be far less likely to sell your car. Yes you’ll want a nice photo of your car, but it’s the written information that’s going to catch a potential buyer’s interest. Make sure that you present everything that buyers are going to want to know right off the bat. Include the mileage, year, etc., and just make sure you’re honest and upfront in your ad. If you try to pass off information that isn’t true, the potential buyer will find out eventually. You definitely want to put a lot of care and thought into the photos that you choose for your advertisement. 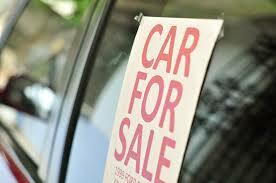 This is one of the main factors in how successful you will be selling your vehicle. People want to buy a car that looks shiny and new, even if it isn’t. You can use stock photos if you really want to make your ad pop. Use Dreamstime Stock Photos to show how great your car can look. If you take your own photos, make sure your car is in tiptop shape for the photo shoot. Give it a wash and wax and photograph the car from all its best angles. The main advantage of selling online rather than in print is that you can reach far greater range of audiences, locally, regionally and even internationally. Yes, someone from another state or even country might want to buy your car! And unfortunately, if you have only placed an ad in the local newspaper, you will never even know. By posting online, you can track the number of visitors you get and you can quickly make edits to your ad if you need to.